A Persian Menu for Purim seems like a natural idea, after all that's where the whole megilla began. But when I started looking for recipes and testing them, I realized authentic Persian recipes require authentic Persian ingredients. Those can be very hard to find. The thought of trying to negotiate unfamiliar neighborhoods in search of exotic ingredients whose names I cannot even pronounce almost made me scrap the idea altogether. But not so fast, this resourceful Queen in the Kitchen turned to her favorite source of cooking ideas and inspiration: Google. And there they were: substitutions for concentrated tamirand paste and advieh, to name a couple. Now, making Mahi-Ye Tu Por Ba Sabzi and Khoresht will be a breeze. You'll see! So, with all due apology to the true Persian princesses out there, please join me in my kitchen. We're going to cook up a lot of fun and festive recipes with elegance and ease because ~you know, as we cook, we are Cooking for The King. & you don't want to miss "The Queen You Thought You Knew"
The Fast of Esther is March 7. Purim 5772 begins at sundown on March 7. 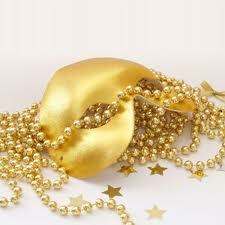 Purim begins at sundown on March 8. A Purim Samayach to all!